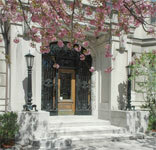 We understand that moving can be very hectic. 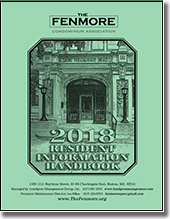 We would like to remind all residents of the guidelines for moving in and out of the Fenmore to ensure a smooth transition. You must notify the management office of a scheduled move-in or move-out at least 48 hours in advance. Please fill out a Move-In/Move-Out Notification Form and submit it to the Fenmore Maintenance Office prior to your move. Moving is only allowed during the hours of 7 AM and 11 PM. Absolutely no doors are to be propped open and left unattended. To temporarily keep a door open, place a doorstop or heavy object against the door itself. DO NOT jam anything between the door and its frame. Doing so will damage the hinges causing the door to not close properly. Make sure the door is securely closed when you are finished or are leaving the door unattended. Be careful using the elevators; excess weight and rough treatment can cause a breakdown which can take the elevator out of service for a lengthy period. Make more trips with smaller loads. Do not tie up the elevator unnecessarily when moving. Stack belongings in the hallway first (making sure there is room for people to get by). Then load and unload the elevator as quickly as possible so others may use it. Moving can create a lot of trash. You are responsible for the proper disposal of trash and the removal of large furniture. 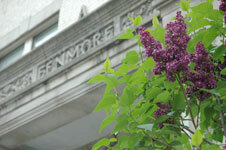 Check with the Fenmore Maintenance Office (617-424-8235) if your trash will overload the dumpster in the parking area. Any costs associated with having to remove trash or larger items will be passed on to the responsible party. You must take steps to guard your belongings or vehicles while moving. The condominium association is not responsible for lost or stolen items or towed vehicles. Discarded furniture, bedding, and cardboard boxes can be comtaminated with roach eggs, rodents, or other unwanted pests. For your own health and safety and that of your neighbors, please do not bring discarded items into your unit. Violations of these rules may result in fines. These guidelines were established to insure a moving process that is as safe and trouble-free as possible. We count on all residents for their cooperation in this matter. If you have questions or would like to schedule a move, please contact Lundgren Management at 617-887-3333 (www.lundgrenmanagement.com/notify_move.html) or the Fenmore Maintenance Office at 617-424-8235 (fenmoresuper@gmail.com).